In September, ALBC technical staff Jeannette Beranger and Alison Martin visited ALBC members in California and Nevada and attended the National Heirloom Expo in Santa Rosa, California. First on our trip were visits to two master breeders of Native Milking Shorthorn cattle in Fallon, NV. Fallon is a high desert town about 70 miles from Reno and averages less than 9 inches of rain per year, falling mostly between November and May. Driving out to Fallon we marveled at the stark hills, the grasses dry and golden in late summer, contrasted in places by irrigated alfalfa fields of emerald green. We watched a band of wild horses across the valley pick their way down a rocky hillside toward the river. Cattle ranching in this area requires careful pasture management. We expected to find hardy animals on the two ranches, and we were not disappointed. Our master breeders were father-son team Ron and Norris Albaugh, and Jack Barnes. Jack and Ron have both been raising and breeding Milking Shorthorns since the 1940’s, and their careful attention to the quality of their breeding stock really shows. More recently, Norris Albaugh’s breeding decisions using the Gearld Fry method have taken the Albaugh herd to an even higher level of uniformity and productivity, and allowed improvements in calving ability and parasite resistance. Both ranches focus on beef production first, but emphasized that bigger calves are not always better, instead favoring cows with slightly smaller but rapidly growing calves. In order to achieve that rapid growth, they select for milking and mothering ability. The Albaughs leave calves on the cow as long as 10 months to take advantage of the rich milk their cows produce on pasture. Barnes favors easy tempered cows that are so laid back that they share mothering duties with calves grabbing a sip wherever they can. The Albaugh ranch lies near the Carson River, so they are able to irrigate their pastures for a purely grassfed operation. At Barnes’s smaller ranch he supplements with hay. 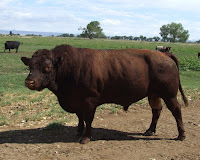 Both ranches have found receptive markets for their meat and breeding animals. During the visit ALBC staff documented the wisdom of these master breeders for inclusion in Breed Profiles and other outreach documents. Californians from across the state brought their pigs, sheep, chickens and cattle to the event. We were fortunate to share space for two days with ALBC member Christina Nooner and her team from Sunshine Sanctuary for Kids and Horses. They brought two beautiful Santa Cruz horses: Enshalla (age 3 months) and her uncle Cochise, who adopted the filly when she was orphaned shortly after birth. 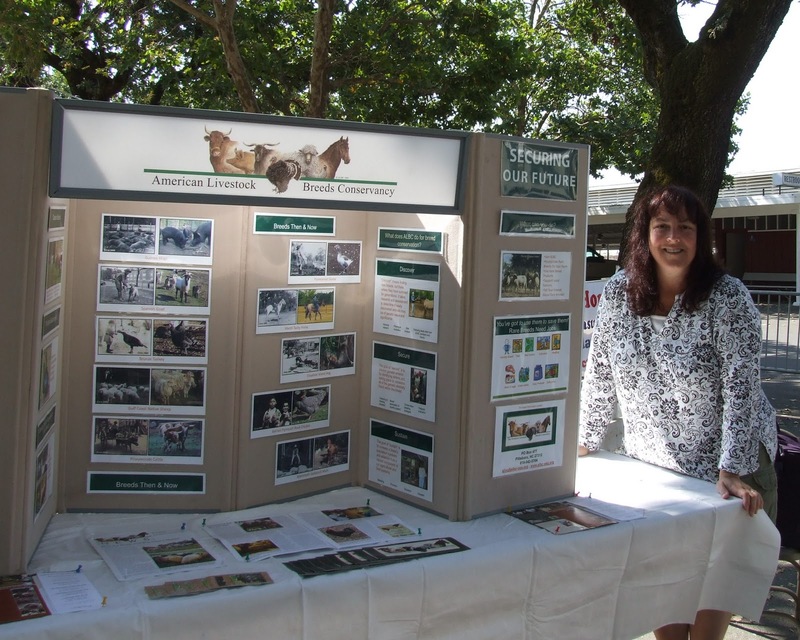 There are fewer than 30 breeding Santa Cruz horses remaining, so it was a great opportunity to tell their story while we talked to visitors about the importance of preserving rare breeds. About 150 birds were on display at the expo and APA judge Walt Leonard selected a handsome Buff Orpington rooster as the winner of the poultry competition. Turkey breeds were well represented at the show, and Magpie, Welsh Harlequin and Indian Runner ducks were among the waterfowl attendees. In pens under spreading oaks we found Shetland and Navaho-Churro sheep. The Shetland is a small, fine-boned sheep prized for its fine, soft, strong wool. Shetland sheep come in several colors, so the sheep and their wool products attracted much attention from fiber artisans. Navaho-Churro sheep are remnants of the once widespread Spanish sheep populations of the Southwest. Spanish missionaries and rancheros established the first flocks as sources of meat and wool. After the Spanish-American war, American ranchers established flocks of “improved” sheep breeds such as the Romney that were more common in the rest of the country. However, remnants of the Spanish flocks remained, most notably among the Native American populations for whom sheep rearing fit well into their agricultural lifestyle. The famous Navaho rugs continue to be are woven with the wool of the sheep now known as Navaho-Churro. While in Santa Rosa, we visited the home of Carole Coates, a breeder of San Clemente goats. This rescue story put ALBC on the map in the mid-80’s as we partnered with other groups to ensure that breeding animals were kept together following the last removals of goats from San Clemente Island. The Coates’ small flock of San Clemente goats is helping to expand the breed and includes a Santa Catalina doe from a related bloodline. The goats were happy to demonstrate their foraging ability with yard clippings including thorny branches of blackberry and rose. A noxious California weed, yellow star thistle, is readily consumed by goats, and Coates is considering putting her goats’ appetite to use in the brush clearing business. All in all, the time we spent in California and Nevada was a great opportunity to connect with what is on the minds of heritage breeders in this part of the country and reminded us of the diverse environments that influence the breeds we work with. ALBC had a special visitor in the office last month – of the reptilian kind. A Black Rat Snake found its way in overnight and showed up in the kitchen, assumingly looking for breakfast. Breed Registry Manager Anneke Jakes was the first to meet our scaly friend, nearly stepping on it when turning the lights on for the day. Unfortunately, before the staff was able to catch the snake, it slithered its way behind the counter and out of reach. After some brief contemplation, it was decided that we would simply have to wait for the critter to reappear on its own will before catching it. The day’s business resumed until the afternoon when staff were packing up materials near the front door of the office. Membership Services Manager Ryan Walker caught a glimpse of the snake out of the corner of his eye lounging nearby on some boxes recently received in the mail. Apparently it had made its way stealthily past everyone while they were at their desks to the front of the office. Luckily, Research & Technical Programs Manager Jeannette Beranger had previous experience with snakes and leaped into action. 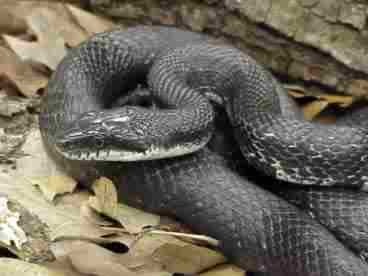 Before joining ALBC, Jeannette had worked as a zookeeper for the Roger Williams Park Zoo and cared for a 20 foot Boa Constrictor, so our little Black Rat Snake was no problem for her. After donning her gloves, she reached down to nab our friend, which wasn’t going to give up its lounging spot easily. The snake wrapped itself around a bookshelf in an attempt to keep Jeanette from grabbing it and after a brief struggle; it decided to take a different route. The snake came loose in Jeannette’s hands and curled back around as if to give her a wink, then slithered out onto the ground across the office and the race was on. Jeannette ran after the snake, diving to the ground and catching its tail while Executive Director Chuck Bassett stepped lightly on the back of its head to gain control of the animal. Jeannette then carefully picked up our friend, took it outside, and released it into a lot nearby. “It’s hopefully resting happily by the bakery out back now”, said Jeannette; “There is never a dull moment at ALBC”, said Jeannette.